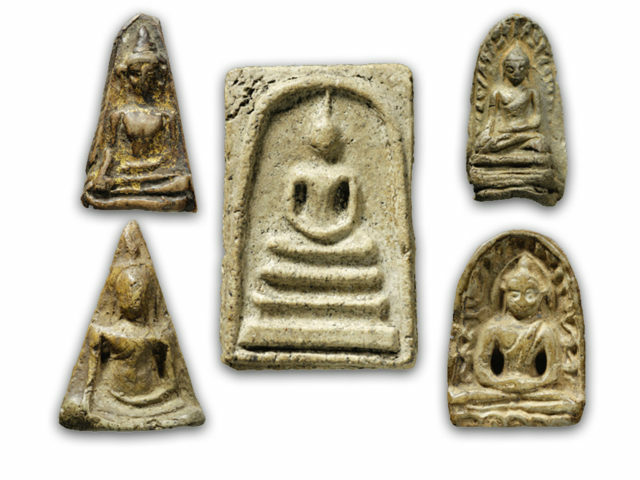 The all-time Classic Sacred Pra Sivali walking Buddha in Nuea Din sacred earthen powders, in small 'Pim Lek' size, measuring 2.5 x 1 Cm. 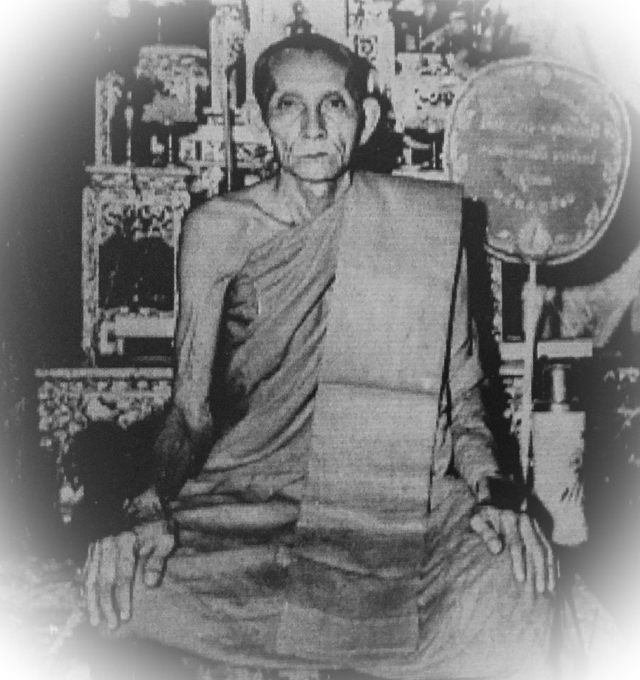 This is an early and world famous classic amulet from the 'Yuk Dton' (Early Era) of the Great Luang Por Guay, of Wat Kositaram. 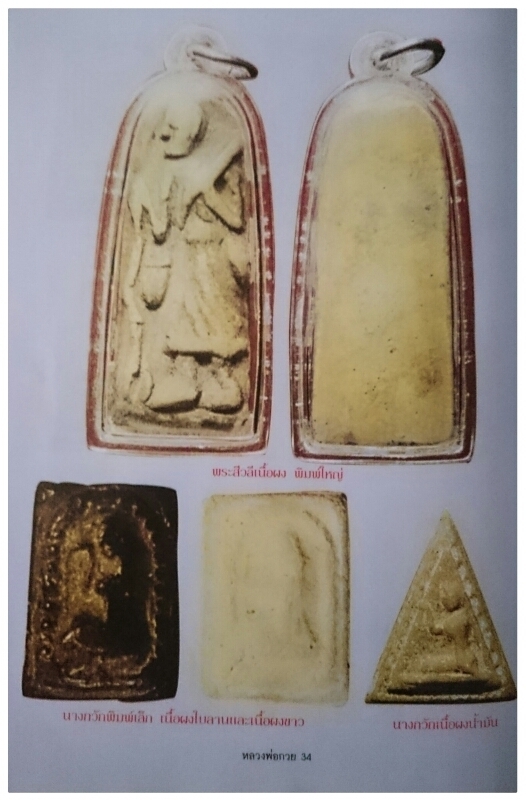 The amulet is estimated to have been made roughly between the years 2480 and 2490 BE, and is a very clear cut exhibit in Pim Lek, with extremely well defined relief and visible design detail. 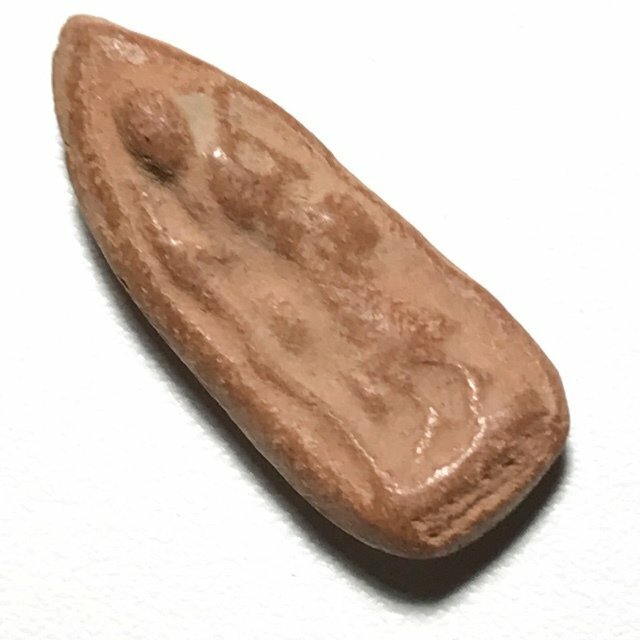 This particular exhibit is well preserved, with clear refined details. 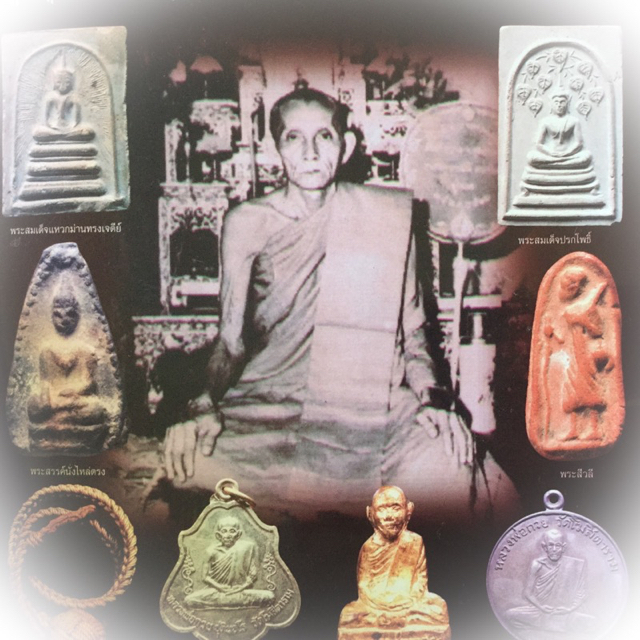 A highly sacred amulet that is of the highest sacred Value for devotees of Luang or Guay, and for collectors for preservation and study, as well as most certainly worthy of entering into competition for prizewinning. We feel this amulet is most capable of first prize status. 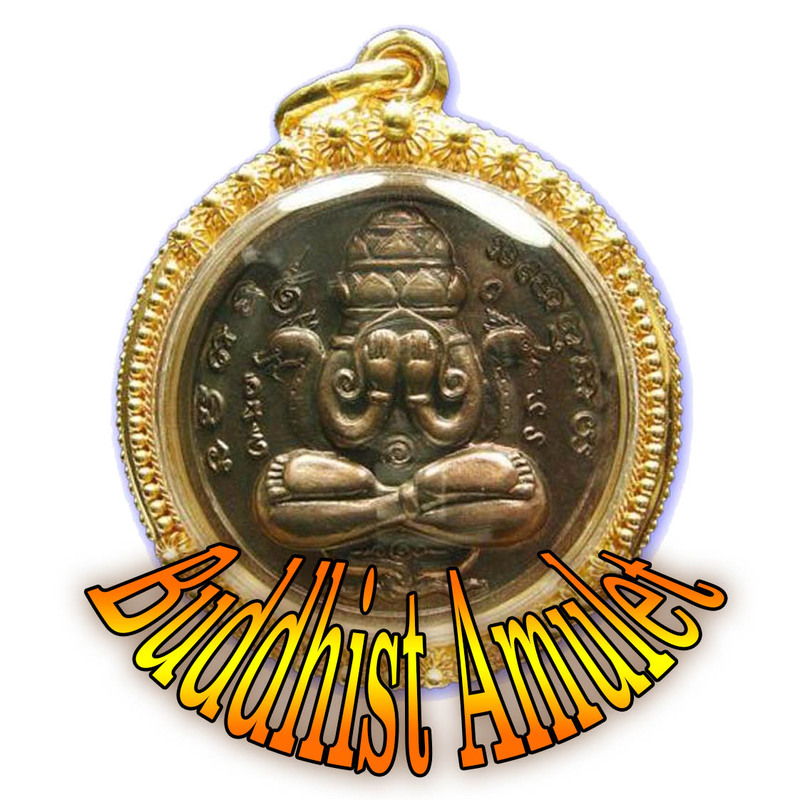 Being a Pim Lek, the amulet is also a very recommendable amulet not just for men, but also for ladies and children.